I’ve separated the wheat from the chaff for all of you willing to learn SEO, and organized it in a common-sense list that will guide you through the steps. 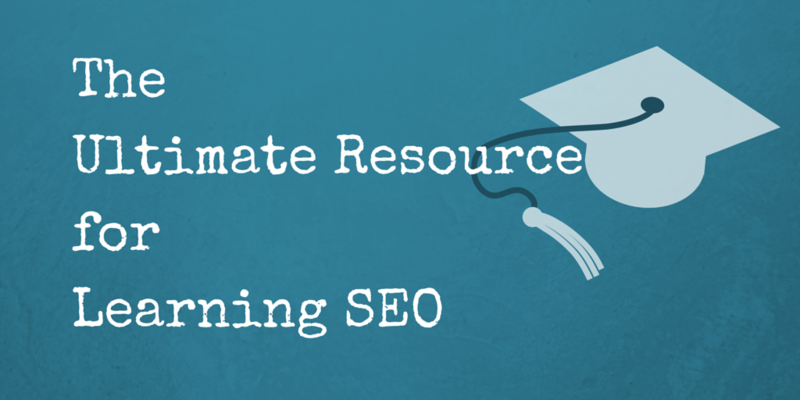 Below you will find some of the best free and paid resources for learning SEO. Grab a notebook, a pen, and start your online education! Note: Keep in mind that although numbered, these resources are in no way a hierarchy. The information in them is often similar, though some are more exhaustive than others. I recommend reading as many of them as you can, to get an overall sense of how SEO is discussed, understood and practiced. As a search engine optimizer it is imperative you understand how search engines work. In general, you will probably be working with Google, Yahoo! and Bing search engines, but if you target different international markets, you might be dealing with Yandex, Baidu, and other SEs as well. Below, you will find the best resources for understanding how search engines work, what crawling and indexing mean, and how SEO’s practices must adapt to these algorithms. 1. How Search Works – Google created this visual story that makes it really easy to understand how search, crawling and indexing work. It gives important cues on how Google extracts information from their index in order to provide you with results they think will be most relevant for the queries you enter. 2. Inside Search – Check this out for more accurate and detailed information on how search works, what algorithms are and what they do, and how Google works to fight spam in order to give you only the most relevant, freshest results. The page also leads you to their Webmaster Guidelines, which provide essential information if your aim is a friendly relationship with Google’s algorithms. All in all, you should pay a lot of importance to Google’s support website and articles, since they lend crucial information. 3. Search Help from Google – Learn about the different types of search, what SafeSearch is (tip: it was created by Matt Cutts), what location-specific search is, how to search by image (as opposed to keyword phrases), how to filter and refine your search, and basically use Google’s search function to its maximum potential. 4. How Bing Search Works – Information from Bing’s official blog on how their search engine works. You can also check out the SEO guidelines for Bing from the official source, or this Princeton blog post explaining how Bing functions as compared to Google – nifty information indeed! 5. How Yahoo Search Works – This article by SEOBook clarifies not only how Yahoo! search works, but how it does so as compared to other notable search engines. However, it does focus more on Yahoo functions in particular, offering great insights into the history of one of the oldest search engines in existence. 6. Search Engines – In this piece by Links&Law, you get some pretty straightforward explanations on what search engines are, and are provided with excellent information on the history of search engines in general. 7. Search Engine History – There is such a thing as a search engine freak. If you’re really curious about how search engines started, how many there were, what they were able to do, and how they evolved, this detailed article is manna from the skies. 8. How Search Engines Work – Mike Grehan wrote a great theoretical paper called “New Signals to Search Engines” that detailed what I thought was the best (read “most honest”) history of the Internet. Since I first published this guide, links where the paper was available kept changing, so I duly updated them here. This year, it seems to have vanished, and I’ve replaced the link to one of his shorter articles on how search engines work. However, I want readers to still know about the paper, perhaps it’ll resurface some day, or you may be able to find it. I also recommend his blog, which is full of in-depth articles that are still useful today, although it hasn’t been updated since 2014. 9. Google Data Center FAQ – In order to get a comprehensive understanding of how Google functions as a search engine, you need to learn about its multiple data centers. Google has data centers throughout the US, but some are located in Europe as well. These data centers house the servers which power the search engine – some deal with data storage, others with crawling, indexing, or Google ads. Their exact number is unknown, as Google is a bit secretive in order avoid informing competitors’ decisions. I highly recommend this article by Rich Miller, which gives you all the known facts + the existing theories on Google’s data centers. 10. Google Crawling, Indexing & Ranking – This document from Google Webmaster Central answers the most common questions, and more, about how the search engine crawls, indexes and ranks pages and websites. If you’re keen on learning SEO, start from the bottom, by understanding how search engines work – particularly Google’s. With a solid basis of how Google search works, you’ll be perfectly prepared to tackle difficult SEO decisions. You might also want to check out this technical SEO guide to crawling, indexing and ranking written by Paddy Moogan, for a slightly different approach, and some extra info. While Google’s guide above may be more focused on informing webmasters in general, Paddy’s guide takes the SEO’s point-of-view. 11. Google Algorithm Cheat Sheet: Panda, Penguin, and Hummingbird – A big part of doing SEO is knowing Google’s algorithms, and understanding how they influence search and your site. It’s all explained very neatly, and in depth by Marie Haines in this article. She’ll take you through what an algorithm change is, what each of the algorithms does on its own and, more importantly, what to do in case you’re negatively affected by an algo update. As usual, it’s also worth skimming through the comments on Moz-published articles, since their community always raises good points, and the discussions often clarify tricky aspects of SEO and other digital-related matters. 12. A Guide to Major Google Algorithms – This short guide by Michael Martinez also covers some of the Google algorithms that you need to know about, including more recent ones like RankBrain. And keep Martinez’ site, SEO Theory, bookmarked. It’s a good idea to visit it from time to time, he’s got an excellent understanding of SEO and has a very direct approach to the practice. 13. The Complete Guide to Google Penalties (Both Manual and Algorithmic) – While we’re on the algo chapter, I thought I should add this great guide on major Google penalties that you need to avoid, complete with how to recover in case they hit your site. Neil Patel’s article will help you either find the solution to a penalty problem, or learn how to protect your site against penalties and work with the algorithms instead of fearing them. 14. The Ultimate Google Algorithm Cheat Sheet – What makes many of Neil Patel’s articles and guides so great, and not just for beginner SEOs, is that they often take a step-by-step, how-to approach to subjects or SEO tactics that can otherwise be difficult to grasp or tackle. It’s pure, practical SEO knowledge in your hands, like this cheat sheet on Google algos that will confront you with even the smallest, but important effects of these algorithms. In order to bring your education as close as possible to taking a step-by-step class, you should begin with one of the more comprehensive guides available online. The ones below will provide you with your first steps into the SEO world and get you familiarized with important terms and concepts that you’ll be using throughout your work. You can learn SEO quite well by using just these guides, but all in all, you should go through resources I’ve listed in each category in order to get in depth understanding of the field. 15. Moz Beginner’s Guide to SEO – Any rookie SEO, or anyone who wants to learn about the field, should look into this guide, which takes you through all the basics. Presented with a bit of infographic-style division, the guide breaks down information in easily digestible capsules. You could also bookmark, for further reading, their SEO learning page, where you’ll find resources on link building, social media, and get access to plenty more course and articles – most of which are free. 16. Search Engine Land’s “What is SEO?” – As you learn more about SEO, you will realize that Search Engine Land is one of the most valued sources for information and news. You might like to subscribe to their newsletter or follow their website closely for reports on Google and the SE optimization industry. Their SEO guide is very well divided and explained, and offers a lot of actionable advice that can be useful to beginners and pros alike. They’re also quite proud of their Periodic Table of SEO Success Factors, which lists what they have found to be the most important elements of optimization. 17. SEOBook’s 7-Day Guide – SEOBook does a very good job explaining the why’s and how’s of search engine optimization. This guide to SEO for beginners is excellent for your first steps in understanding what you’ll be dealing with. The lessons you find here are applicable and presented in a straightforward manner, so that even newbies can get the gist of things. The information you find on SEOBook is always relevant, unbiased, and to the point, so you can rely on their articles and posts to learn any news or updates about Google and SEO. 18. The Advanced Guide to SEO – This guide on SEO, written by Neil Patel (founder of Quick Sprout) lays out important strategies that you can put to practice. While it is aimed at advanced SEOs, anyone can gain insight into the ongoing work of optimization. The content is very well structured and exemplified, so you should be able to follow the instructions even with minimal experience. 19. SEO Tutorial for 2016 and Beyond – Your online education will be much enrichened by learning from this SEO tutorial for beginners. Webpage FX is a wholesome resource of information on all levels and offers some interesting eBooks as well – I mention those that might interest you in the Essential Readings category below. 20. SEO 101 – A short guide written by Jill Kocher. While it doesn’t offer a lot of additional information you won’t find in the above-mentioned guides, her article places a lot of focus on keyword research and provides a lot of practical examples and strategies that should benefit any optimizer. When you’re done learning from her actionable articles, you might also like to check out the equally important second part of her guide, SEO 201, which tackles more technical aspects. 21. Google Search Engine Optimization Guide – It doesn’t get any better than this: a comprehensive, well-structured, well-explained and exemplified SEO guide right from the horse’s mouth! Google created this internal guide to serve its employees, but it is just as valuable to anyone looking to perform optimization on their websites. Here, you will truly find the best (i.e. Google-approved) practices you need to employ in order to increase your odds at ranking in Google’s top results. 22. Google’s Digital Marketing Course – Google is not one of the best sources of information thanks to their powerful search engine only, but through internally generated content as well. While they may be meagre with catering intelligence on algorithms, they provide a lot of extremely useful data and support in other areas – guiding users, webmasters, SEOs, marketers and business persons in general. This digital marketing course should teach you how and what tactics to apply in order to be a successful part of 21st century (online) marketing. 23. Ultimate Guide to Bing SEO – Most of what you’ve been learning about search engine optimization refers to Google, because it is the most popular search engine. However, many SEOs get to work with other engines as well. Featured on TechTage, this article by Rohit Palit offers excellent insight into optimizing for the second most important search engine. 24. SEO for Bloggers – This post by Ashley Faulkes addresses the importance of SEO in promoting your content and your website/blog by default. It does focus on creating exceptional content in order to attract attention, links, bookmarks, likes and the like, but all that through a SEO perspective. The points made for keyword research, on-page optimization, link and relationship building get you in the right mindset for producing content so that both readers and search engines are met with quality. 25. SEO Checklist – This short and to the point checklist will come in very handy to all beginner optimizers who want to make sure the more important elements of SEO are present on their websites. You can pair it with Ian Cleary’s other article on SEO Ranking Factors and thus have a basic tactic for foolproofing your efforts. 26. WordPress SEO Tips – WordPress is one of the best blogging platforms to start your online presence with, especially if you can’t invest in a paid domain for your site. It’s very SEO-friendly, but most of all, webmaster-friendly, so beginners can dive into it easily and successfully. If that’s what you’ll choose for your site, then it’s worth taking a look at this very thorough article-guide put together by Matt Banner. In it, you’ll get actionable tips on all the details you need to work around to optimize for the search engine and for the users. 27. Complete Beginner’s Guide to Search Engine Optimization – This is another excellent beginner guide to SEO. Wordstream is also a steady and reliable source of valuable SEO information, and this post is no exception. Although most of the information it in overlaps with that of other guides in this list (how could it be otherwise? ), I recommend that as a beginner, you try various sources. Each different guide has its own strong points, or might explain a topic in a way that’s easier for you to understand. 28. Beginner’s Guide to SEO – I know, I know. Another beginner guide to search engine optimization. But if it’s just as good, or perhaps better than the other guides in this list, it needs to be mentioned. Search Engine Journal are one of the highest-authority sites on SEO in general. They’re not only a SEO and digital news site, but an educational one too, amassing thoughts, ideas and learning from the industry’s thought leaders. 29. E-commerce SEO: The Definitive Guide – For those of you interested in learning SEO for eCommerce, I recommend this dedicated guide written by Brian Dean. You would need to focus on more conversion-focused keywords, or search terms that express buyer intent. Building content, links, traffic and general site and brand authority require a different approach for eCommerce sites, and this guide is quite thorough in teaching you what to do and most importantly, how to do it. You will learn about keyword research and targeting, competitor tracking, site architecture, on-page SEO, internal links, technical SEO, content marketing, site auditing, and more. The problem with SEO is you can’t go to any school to learn it (unless you live in certain parts of the US). The internet is your oyster, but first you need to find your oyster knife. It can be difficult for beginners to know where to start. Moreover, not everything you read on the web is noteworthy or truly helpful in teaching you how to SEO. Nevertheless, the courses below are your best bet at a complete education. Decide how fast you want to become good, but don’t rely on a single class to teach you all there is to know. Some of these courses even offer a certificate or diploma when you graduate, so you’ll have a better chance at getting hired in the field or attracting clients. 30. Wordtracker Academy – Though well enough organized, Wordtracker’s Academy is not the most complete course you could take. However, it gives you an idea of the important topics on learning about SEO. It’s got separate categories dealing with keyword research or link building, PPC, and content writing. It has an apt category on social media marketing which looks at all social media platforms separately and underlines their importance, as well as how to integrate them into your marketing campaign – this however might be better suited later on in your education. 32. Moz Academy – Although they now provide their own services and tools, Moz (former SEOMoz) started out as a purely instructive website, which explains why they’re still one of the best sources for information, data, and news in the world of search engine optimization. It then only stands to reason that they have their own academy – here you will find webinars and video lessons on subjects like inbound marketing, SEO, social media, or link building. 33. I Will Teach You SEO – This course might be exactly what you need. It is specifically targeted at beginners, or those who want to get started on SEO, and hosted on the great database that is Udemy. Held by Matthew Capala – and alternately titled “SEO Like I’m Five” -, the course is linked to through Adam Connell’s review, which gives you the strong points of attending and offers a discount, too! You might also like to check out Adam’s article on SEO Truth, for pointers on how to correctly approach SEO in the now. 34. Digital Marketing Training – These courses, created and presented by Jeff Sauer, are extremely valuable in that they focus on explaining Google Analytics – a tool that, as you’ll see, is fundamental for SEO work. The courses charge a fee, but you can verify how relevant they are to you prior to buying, as you get a preview of each class. Nevertheless, they are divided on levels, so the beginner training might actually benefit you. 35. Tutorialspoint SEO Tutorial – Although a bit simplified, this tutorial is very on-point and starts off by clearing up the most important terms you need to get familiarized with. Take note, however, that this was probably written quite some time ago, and in the world of SEO, that can mean a lot of relevancy is lost. For instance, at some point, the tutorial mentions the importance of adding meta keyword descriptions, something all good SEOs know is no longer valid. The head of Webspam team, Matt Cutts, explains why Google doesn’t use the keyword meta tag. You should also check out what meta tags Google does use in ranking your website. Another instance of outdated content is the tutorial’s reference to the Google Keyword Tool, which has long ago become the Keyword Planner. 36. Copyblogger’s Internet Marketing Education – Copyblogger is another valuable resource when it comes to staying on top of your game in online marketing and SEO in general. Behind the link, you will find a complete course of education comprised of some 15 ebooks, an e-mail based marketing course divided in 20 installments, and a reference list to some of their most valuable material. All of it is free, but you have to register in order to get access and subscribe to their newsletter – something you may have done in the future anyway. 37. Google’s Webmaster Academy – For a complete understanding of best practices and guidelines to what Google favors, take this course detailing the dos and don’ts of creating a good website that Googlebots crawl and index properly, and which the search engine favors in rankings. Albeit somewhat advanced for a beginner, it will introduce you to the more technical aspects of optimization – some of which you will need to deal with yourself. 39. Hubspot Academy – This may not be about SEO directly, but it does cover the broader topic: online marketing. If you want to excel at SEO, you should strive to be the best marketer you can be. Hubspot has a real academy with real teachers, and if you’re lucky enough to live in Massachusetts, you can actually attend a class. If not, check out their Customer Projects, which help you practice techniques of blog post optimization, or content offer – these basically tell you what to do in order to, well… do marketing and consumer outreach. For more targeted information, you can register and download their free ebook, Learning SEO From the Experts, or browse to your heart’s content through their vast Marketing Library. 40. How to Make Infographics – Even though this guide is SEO-adjacent as well, you will learn that the infographic is yet another form of content that attracts traffic and attention, and is one of the greatest ways of producing added value and conveying information or a message. This article will provide you with the basic steps and know-how of creating engaging and shareable infographics. 41. Do you need an SEO? – Google explains what clients should ask when looking to hire an SEO. The article will give you good insights on your responsibilities and obligations as an optimizer, and perhaps guide you towards learning areas you wouldn’t have thought about adding to your education. 42. Google Analytics Academy – If you want to be a good SEO and rank well in Google, you’ll need to master its tools. These free courses offered by Google not only provide you with in-depth knowledge of how to use Analytics to your benefit, from eCommerce to mobile, and test your knowledge, but some of them come with a certification as well, which will look great on your resume if you want to get clients as an SEO. And if you’re going to rely on Google Analytics for the success (and health) of your site, what better choice than to learn from the source? 43. Market Motive SEO and Digital Courses – Market Motive offers a complete set of online courses that can be taken individually, or at team level. What’s more, you can choose between a (cheaper) self-paced learning approach, or a more comprehensive coached online classroom with the advantage of direct feedback from your teachers. Although these course can cost a pretty penny, they’re well worth considering if you’re looking for a serious career in SEO, and a thorough, practical knowledge base on the subject. 44. Instant eTraining Certification – Another good source for SEO classes and certification. Instant eTraining also offer certification in other branches of digital marketing like Social Media, Analytics, Content Marketing, and more. It’s also worth checking out their Free Resources page for webinars that cover these topics and more. And if you’re not able, or willing to spend on a full course, you can try their video library that features smaller bites of information for all level learners. 45. SEO training from ClickMinded – For most folks, the easiest way to learn something is by taking a very neat and organized approach, and that’s where courses like the one offered by Click Minded come in. This SEO learning course takes you through all the steps you need to learn in order to apply optimization techniques correctly, from search fundamentals all the way to mobile SEO and internationalization. You must pay for access to the full course, but the first four modules are free, so you can check it out and see how it suits you before buying. You also get a team discount if you want to purchase it for your company. Moreover, Click Minded has been offering the course for free to refugees on US soil – a laudable attitude that you can learn more about here. Some people find it easier to learn visually. Luckily, the world of SEO learning is filled with such opportunities, and I have selected some of the best resources you can get your eyes on. It might be best to stay away from webinars or classes you can simply find on YouTube or other free video platforms, because they are harder to vet, and may advise you to practice gray, or even black hat SEO techniques. However, I do mention a couple of YouTube resources below that have been posted by good names from SEO, so they are definitely useful and will teach you plenty effective things. 46. Moz Webinars – By now, it should be no surprise to you that Moz is one of your best sources when it comes to learning and perfecting your optimization skills. Here, you can either sign up for prospective webinars, or check out their archive and select those that are of immediate interest to you. 47. Quick Sprout University – This is an interesting origin of information and knowledge for beginner, intermediate, and advanced SEOs alike. Neil Patel and his team produce great content that addresses both common and uncommon issues in this field. Behind the link, you have free access to literally tens, if not hundreds of videos that teach you theory and practice, offering insight into the complex world of SEO. You could begin with courses like How to Find Perfect Keywords for SEO, hosted by Brian Dean. The fact that each video is supported by a written transcript is yet another point to recommend this resource. 48. Udemy Courses – Udemy is one of the largest databases of courses on a wide variety of topics. Although most of them charge a fee, you can also find free courses that are just as helpful. For SEO and SEO-related topics, go to the Marketing category and select whatever concerns you. Moz’s courses are especially noteworthy (not to mention free), but keep an eye out for everything related to your interest. 49. Whiteboard Friday – Generally presented by Moz’s own Rand Fishkin, Whiteboard Friday answers the most common and pertinent questions from the Moz Community, as well as other questions SEOs have in general. While some of the episodes may tackle advanced, technical subjects, you can also find simpler concepts addressed, and very nicely explained by Rand. 50. KISSmetrics Webinars – These guys are also rather thorough when it comes to applying and teaching SEO techniques, and their webinars are held by some of the best names in the field. You can browse through their webinar archive for subjects you’re interested in, or sign up for their future webinars, which come out about once a week. It’s true that most of the topics they approach are advanced, but you can also find some which are more appropriate for beginner levels. 51. HubSpot Broadcasts – These audio broadcasts can become useful when you have learned enough about SEO and start needing to refine your techniques and finding new avenues for keyword research, specialized link building techniques, or resources for content topics. What’s more, you can download and save slides from each broadcast, so you can revisit the information and reuse it anytime you need. 52. NoBoard SEO Series – Helpful video lesson series by Dan Shure, which targets pretty specific and niche-oriented subjects. Thus, they can come in handy when you’re having trouble with particular aspects of optimization, such as when to use rel=nofollow links, what the best times to tweet are, how to deal with anchor text in backlinks, and many more. 53. Vertical Measures – Although these webinar broadcasts can get quite specific and niche-oriented, you can also find easier to approach subjects, like link building strategies and creating content marketing plans. They also come with downloadable slides. 54. Ecommerce SEO 101 – These video lessons introduce you to aspects of running an online store, but focus on broader SEO topics as well. For instance, you can learn some SEO fundamentals, gain insight on how Google ranks websites, how to target the right keywords for your business, or how to steer clear of Google penalties. 55. Attracta Basics of SEO – Spend some of your time learning the basics of SEO from Attracta. They too approach advanced issues, but there’s also a series of webinars targeting fundamentals of search engine optimization. An upvote for this resource stems from the fact that each webinar is paired with a transcript, so if there’s anything you didn’t understand very well, you can simply look over the text and reexamine the information. 57. The State of Link Building – A comprehensive webinar by Linkarati, hosted by Jesse Stoler, which was recorded at the end of last year. Thus, what he discusses with his guests is extremely relevant to this year’s link building efforts. 58. Technical SEO Course – If you want to be able to handle your SEO top to bottom, then you’re going to have to get technical. Without a corresponding background, that might be difficult to handle at first. But you can start with this course taught by the founder of Distilled, Will Critchlow. This is quality and actionable information that you’ll be able to start applying right away. And if you’re the visual learner type, you may find it easier to accumulate and digest information with this course that spit into bite-sized lessons, each with its own assessment tests. Keyword research is an important part of SEO, and it is the basis of a successful marketing campaign. Knowing how to choose your keywords is essential to getting your message across and promoting your content, product, or services. Whether you’re looking to increase traffic or conversions, this is where you start. The articles and guides below focus on keyword research and strategies. 60. Copyblogger’s Keyword Guides – Behind this link you will find access to two separate keyword research guides produced by Copyblogger. All you need to do is register with an account and you’ll get the Keyword Research: A Real World Guide and Content Marketing Research: The Crucial First Step. Not only that, but you are also given the option to download 14 more books on content writing and marketing, SEO and other related subjects, and a 20-part course on online marketing – basically the same deal mentioned above. 61. Hubspot’s A Beginner Guide – This article by Hubspot (written by Rachel Sprung) is quite insightful and provides fundamental knowledge on researching keywords. It is very nicely completed by another Hubspot article, Keyword Research 101, written by Samantha Winchell. The latter article however, focuses on alternatives for research and presents you with resources and methods. 62. Moz Visual Guide on Keyword Targeting – Rand Fishkin conscientiously explains how to target keywords and perform on-page optimization for ideal SEO results. This article of his is wonderfully supported by data and graphics that aid the learning process and make all that information easy to absorb. 63. How to Find Profit-Driving Keywords – In this piece from Wordstream, you will learn about some of their best and free keyword research tools (such as the Keyword Niche Finder or the Keyword Grouper). I suggest reading the other articles they recommend too, they are considerably insightful and constructive. 64. Distilled’s 7 Places to Look for Keywords – When you get a good grip on how keyword research is performed, you might like to check out this very actionable article from Distilled, which provides creative ways of expanding your keyword list other than Google’s AdWords Planner. 65. Six Pillars of Keyword Research – This is a short, straightforward, but useful article taking you through the fundamental steps of finding the right keywords. It may be more theoretical than practical, but it gets you in the right mindset for the process and preaches the importance of relying on data. What’s more, it was written by Bruce Clay, one of the leading SEO minds in the industry. 66. Keyword Strategy in Depth – If you’re willing to pay for classes, this is just one of the courses Lynda.com offers. In the Video/Audio Classes category above, I have also listed video and audio classes that you might find useful. For some, it might be easier to learn visually, or directly from a teacher, but in the end, it’s up to you how much time and money you’re willing to invest in becoming an SEO professional. In all fairness, you may get a faster education by signing in and paying a fee for online courses like this one, but I recommend doing proper research before signing off on anything (SEO-oriented forums, such as SEOBook, might be a better source for real customer/student opinions, rather than the websites themselves). 67. How to Do Keyword Research for SEO – Here comes an in-depth article on keyword research that stresses the priority of selecting the right keywords for your goals. Nick Eubanks takes you through the most important steps of this first SEO stage; paired with his article on how to optimize pages for your target keywords, this becomes a full-on guide any beginner would be smart to follow. And if that’s not enough for you, Nick also holds a 7-day course on mastering keyword research. Register here and you also get a 20% discount for the course, using the AWR20 coupon code! 68. Nutshell Guide to Proper Keyword Research – As long as you do search engine optimization, keyword research will be one of the most important tasks you have to deal with. You’ll see that SEOs often have different approaches to this, and prefer different types of tools. That’s why it’s an excellent idea to see what they all have to say, try their methods, and determine what works best for you. Here you have a short guide on keyword research by the Content Marketing Institute, another site you’d benefit from following up close. Link building is one of the heaviest responsibilities of a search engine marketer, because it has to be done with finesse and a lot of planning. Define it as you may, link building is an art which requires multiple aptitudes, including knowing how to approach others in your industry, and where to find them. The following resources detail all the tactics of earning or acquiring links in order to boost the visibility and authority of your website. 69. What is Link Building? – Although it doesn’t offer any strategies for link building, this article by John Ball does a good job of explaining why we need it, how it used to be done, and where it stands within today’s SEO. The article is less than one year old, so everything in it is still relevant. 70. 101 Ways to Build Link Popularity – In this article published on SEOBook, Aaron Wall and Andy Hogans explain why link building will still matter just as much in the future, but they also list, as promised, 101 ways of building links (although not much detail is provided). You might also like to look over this rather general article on Link Building, which supplies a few more ideas on how to earn links and offers other related, valuable advice you should keep in mind. 71. Wordstream’s How to Build Links for Free – A resourceful article expanding on the importance of link building and offering a few ideas on how to do it. It is very well completed by this Link Building Strategy list which takes you to other useful articles that are divided on levels of expertise: beginner, intermediate and expert – this is a resource for the long term. 72. The Noob Guide to Link Building – Michael King (or MyCool King, as he likes to dub himself) is a well-known SEO and blogger, and here he comes with a definitive piece on link building, in an article written for the Moz Blog. The piece is very actionable, offering step by step methods for link building, and ideas for content creation that attracts links or at least gives you a good chance at successfully asking for them. 73. A Definitive Guide – This guide from Brian Dean is a highly valuable resource if you want to learn what link building is, why it is important, and what the best methods of doing it are. Very visual and well structured, you can download this 9-chapter guide as a PDF and keep it nearby as an essential resource. It takes you from the fundamentals of building links, through content marketing and email outreach, explaining even what black hat techniques are and how to stay away from them. 74. The Beginner’s Guide to Link Building – Written by Paddy Moogan, this guide is another source of comprehensive and well-structured information on the subject. I would easily compare it with the guide above in terms of quality and quantity of information. The “booklet” is about 90 pages long, so arm yourself with patience, pen and paper. 75. Improved Link Building – Moz is always a top-notch source of information, and this article by Cyrus Shepard (a SEO guy to look out for) details some interesting points on SEO copywriting and by default improving your link building tactics. 76. Link Building Tactics – This must be the motherload of information on link building. There is no way of describing this article/guide without seeming exaggerated, so I’ll leave it to you to discover just how resourceful it is. I thoroughly enjoyed how well structured the article is, giving you pointers on the difficulty of each tactic, the time it takes to accomplish it, and even the link value of every strategy. Kudos, Jon Cooper! 77. Link Building in 2015 – Here you find detailed instruction on how to approach the task of building links in 2015, and applicable strategies that improve the authority of your site. Every strategy proposed by Adam Connell is also paired with the type of content that works best for it. Don’t miss out on the cheat-sheet provided by the author, it can be valuable to beginners and professionals alike. 78. Link Building is Not Illegal – You can take his word for it, he’s Matt Cutts. Although almost 2 years old, this interview of Eric Enge with Matt Cutts is still quite relevant, because it gives us feedback directly from Google on how we should approach link building, and what types of approaches can be more successful. 79. The Advanced Guide to Link Building – Another link building guide by Neil Patel and Brian Dean via Quick Sprout, which you will find extremely useful once you start this chapter of your marketing campaign. Inside, the authors talk about how to find good link sources, what types of content naturally attract links, what backlinks are most valuable, how to forge relationships in order to gain good links, and more. 80. Definitive Guide to White Hat Tiered Link Building – An extremely thorough guide by Rohit Palit that will become useful once you start needing to refine your link building techniques. As such, I recommend keeping it in mind for the latter part of your education, and studying it when you’re ready to put these actionable advice to practice. 81. Curated Guide to Building Links without Content – Link building is a part of SEO that requires the combination of several skills. Yet besides those skills, you also need to be constantly looking for new ways of attracting or earning links. This refreshing guide can be useful to any SEO, even those who rely on content to build links. It lists out several strategies and techniques, such as broken links, image links, or relying on sources like HARO. 82. 33 SEO Experts Share Their Link Building Strategies – When you’ve mastered the other theory resources listed in this category, it might be worth your while to check out how the experts approach link building. Although this article was published in 2014, all the tips and advice offered here are just as valid today. SEO is indeed a fluid practice, but things don’t change drastically overnight. Beginners and advanced SEOs alike have a lot to learn from the likes of Rand Fishkin, Adam Connell, Sean Si, Neil Patel, Ian Lurie, and more. 83. Link Building in 2016 – The HOBO Web blog is always an excellent source for information on anything SEO-related. But here you’ll find an even greater resource in this link building guide that’s been adapted and updated for 2016, written by Shaun Anderson. This 31-chapter guide starts from the basics of what link building is, to explaining what natural and unnatural links are, and proceeds to reinforce or dismantle new and old link building techniques. Reading this guide, you can learn what is still valid and what isn’t, or whether older techniques are successful again. Definitely a resource worth browsing, for beginners and advanced SEOs alike. 84. 9 Link Building Resources – If you’re looking to further perfect your link building techniques and find new sources and resources to improve your site’s link profile, then you should check out this very, VERY in-depth article from Quicksprout’s Neil Patel. As I’ve mentioned on other occasions throughout this SEO resources list, Patel’s articles are always not just extremely detailed, but very practical as well, providing step-by-step ways of achieving a given goal. 85. 50 Link Building Strategies for eCommerce – Link building still is one of the most important aspects of SEO because it brings the highest growth on site authority and targeted traffic. In this awesome resource, you find 50 dedicated strategies for building links on eCommerce sites. While it doesn’t go very in-depth with explaining how to apply each practice, it is a good article in amassing such a diverse array of practices that you can choose from, and which you can learn more about from other sources, or simply by practicing and finding out what works for you. 86. 44 SEO Experts on eCommerce Link Building – I find expert round-ups very useful, since they gather lovely nutshells of digital wisdom. But you should also look at the relevance of the topic, the age of the article containing the advice, and, most importantly perhaps, checking to see if those are real experts. This article manages to succeed on every account, and you get some great eCommerce link building advice from professionals like Will Critchlow, Neil Patel, Mike King, Jon Cooper, Justin Briggs, Paddy Moogan, Ann Smarty, Brian Dean, and many, many more. 87. Link Building Strategies (Your SEO Squad) – Link building will be one of the most difficult aspects of SEO that you must handle, so the more learning resources you can get your hands on, the better. I recently came across this wonderful guide on link building written by Matt LaClear, which takes your through all the basic steps of link building, and beyond. Learn how to place your first links on all assets owned by you, then move on to heavier stuff like earning links from strong domains and industry influencers. And if you’re really keen on learning link building and managing it for yourself (as you should), then I also recommend purchasing Matt’s ebook on Link Building – a small price to pay for real, enduring wins. Content adjustments stand at the core of any search engine optimization strategy. Fortunately, there are loads of tools and learning material instructing you on what to look out for when performing on-page optimization. Below, you will find some of the more pertinent articles and guides on the subject. 88. Anatomy of a Perfectly Optimized Page – This time a shorter guide from Backlinko, written by Brian Dean, but just as significant in drawing attention to some of the most important factors of on-page. The attached infographic makes it easy to understand what the factors are and where they go on the page. I recommend keeping it close, especially in your first endeavors. 89. 9 Step On-Page SEO Guide – This succinct guide from Hubspot is great at explaining, in an easy to comprehend manner, what the most important factors of on-page optimization are. It is very meticulous and can be used as a template. 90. On-Page Factors by Moz – A neat article presenting the essentials of optimizing your pages and making them crawler-accessible and search-engine-adorable. 91. SEO 101 Page Optimization Like a Pro – Thorough and significant, this piece written by Zain Shah for Search Engine Journal segments information well and stands as a pretty good guide for optimization. 92. On-page Topic Targeting for SEO – Another useful article from Cyrus Shepard, in which you get practical, applicable advice on keyword targeting, keyword frequency and distance, links, and more. 93. SEO Checklist – This checklist provides you with the most important factors to look out for when performing optimization on-page. Make sure you check out the links for off-page optimization and technical factors as well – they provide further insight into SEO tactics that you should be dealing with anyways. 94. 2014 SEO Playbook – This article for on-page by Tom Schmitz lists out the same factors you have been constantly reading about so far, but it offers nice explanations on their importance and gives out some clarifying examples to go with them. Although written for 2014, the ideas in it will still apply in years to come. 95. Complete On Site Optimization Tutorial – The author of this post, Sean Si, claims that this is a complete, yet simplified tutorial for on site optimization. As impossible as that may seem, the author does manage to structure the information neatly, so that for each factor listed, you get a link leading to more in depth explanations. 96. Composing Irresistibly Viral Titles – Learning how to write good titles is a weighty part of SEO, and has a lot to do with on-page optimization too. Besides making sure your titles are the right length, you also want to make sure they are relevant, and that they attract clicks! This all-embracing article by Dan Shure lists multiple ways to make titles engaging and optimized. 98. On-Page SEO Checklist – What’s better than a guide? A tutorial. And what’s better than a tutorial? A checklist! – which is what you get for free if you register with an account on the Webpage FX website. A book like this teaches you all there is to know and do about on-page optimization. Your reliance on tools for this task only works in the post-publishing phase, so it’s best to start off with all your on-page factors ticked off. 99. On-Page SEO for 2016 – If you’ve read even a small part of the resources in this list, you already know that SEO is not an exact science. It evolves and changes from year to year, even more often than that – either because Google keeps updating its search engine’s algorithms, or simply because some SEO tactics lose their value when they become overused. So while many things stay the same, others might be altogether changed. But with this really nice article which details how to do on-page SEO for 2016, you’ve got your back covered. 100. Step-by-Step Guide for On-Page SEO Management – Here you’ll find another guide for on-page SEO, this time from HubSpot, a brand that’s renowned in the digital space for their top-notch content. While this isn’t one of their most in-depth articles, I wanted to add it because it’s got a very nice and useful template which you can use when you’re trying to tweak on-page across your sites. As such, it’s very useful for those looking to manage several websites and need to keep track of the improvements they apply. 101. SEOlium On-page Optimization Guide – I love it when fundamental notions are explained in unambiguous and simple language, aided by visuals. That’s why I wanted to include this guide from SEOlium, which manages to explain very clearly and skillfully what one needs to know and do for effective on-page optimization. If you’re a SEO novice, or are training one, you might want to share this resource with them. As you learn SEO, you will be confronted with lots of new terms and concepts that can be difficult to grasp at first (especially if you come from a totally unrelated education background). Thus, having a few resources that focus solely on explaining those terms to you will come in very handy and streamline your learning process. 102. SEOBook Glossary – This is the most comprehensive list of terms I have been able to find. It doesn’t just define, but it explains and exemplifies more complex concepts. At the end of the glossary, you also find some links for even more glossaries, and tips on how to search for definitions on your own in case there’s something missing. 103. AdWords Terms – This glossary only defines the terms you find in Google AdWords, and will be useful in your interaction with the tool. 104. Searchmetrics Glossary – Not as thorough, but it does list some terms that the glossaries above don’t feature. It’s neatly structured, so finding your keywords will be easy. 106. Bluefountainmedia Glossary – Another good resource for terms definitions. I deem it useful for the same reason that it features concepts the glossaries above lack, so keep it nearby. 107. SEO Theory’s SEO Glossary – You can never have too many glossaries. Just kidding, you can. But I wanted to include Michael Martinez’ SEO glossary here because it’s just as good as the others I’ve listed. My hope is that you’ll browse all these terms glossaries and choose one that you like best to keep referring to it whenever you encounter a new term. Both beginners and experts need to rely on tools in order to streamline their work. There’s no doubt about it: to perform good SEO, you need to rely on data – lots of data. But aggregating, sorting and analyzing all that information would take forever without the right tools to bring it all together. From a rookie point-of-view, using keyword or on-page tools will help you get firsthand experience on how to SEO. Only by getting practical are you able to understand the theoretical, so here are some tools that will definitely set you on the right track. The Internet is filled with them, but it will be your own experience and methods of work that allow you to decide which ones will be more useful to you. 108. Google Analytics – Search engine optimizers come in all shapes and sizes; you could be an expert, hired by the largest companies in the world and provided with all the resources and budgets you could wish for, or you could be a freelance blogger looking to increase visibility on your website. Whichever one you are, there is no doubt you will find good use in utilizing the free tools Google offers, and Analytics is definitely one of them. Here is an articles helping you understand Analytics and coaching you on how to use it to maximum potential. This Google Analytics Guide goes pretty in depth with the applications of the tool, where and how it gets its data, and how it can be useful for you. I also want to include this article on Understanding Google Analytics by Ian Cleary, since it features some simple explanations of the categories found in G.A. 109. Google Webmaster Tools – This useful collection of tools helps webmasters and SEOs with more practical aspects of optimization, such as running audits of your website, alerting you whether parts of the website are not properly indexed, and much more. Professional optimizers learn to work closely with GWT in order to track the status of their website, and so should you; all that can be overwhelming at first, since this toolkit provides you with a lot of options and operations. For a better understanding of the tool, take this course from Google on Webmaster Tools Help, and read this SEO Guide for Webmaster Tools from Search Engine Land. 110. Bing Webmaster Tools – As you may have gathered, this aggregate of tools is Bing’s own version of GWT; that is, it’s their main tool for those optimizing websites for Bing’s search engine, and it offers support with aspects such as crawling and indexing, submitting sitemaps, checking for metrics like impressions and clicks, CTR and traffic (data here is gathered from Yahoo! as well, not just Bing). For some in-depth understanding of the tool, read the Bing Webmaster Guidelines, this Getting Started Checklist, and this thorough Overview article written by Simon Heseltine. 111. Google AdWords Keyword Planner – Let’s get you started with the keyword research basics. If you’ll be optimizing for Google’s search engine, this should be one of your most important resources for finding keyword ideas and getting a sense of how competitive they are. 112. Google Trends – In time, you will learn that getting unique keyword ideas can prove tricky if you only use one or two tools. For instance, Google Keyword Planner (GKP) is the most used tool, so you will be competing with everyone else for the same keywords, not to mention it only produces very related terms. However, you can expand your list and get new suggestions by using Google Trends. This tool has a lot of potential for those looking to write viral content. Pay attention to Google Correlate as well, which can give you suggestions on what else people look for in relation to your keywords. 113. Übersuggest – This tool offers multiple interesting keyword suggestions through a simple, yet highly effective method: it takes your keyword, matches it with all the letters of the alphabet and retrieves suggestions from Google for all combinations., The list is neatly organized and displayed, so you can choose only what is most relevant to you. Example: if your keyword is “coffee”, Ubersuggest starts looking for coffee + a, coffee + b, and so on; it then brings up combinations like [coffee allergy] or [coffee beans]. After you’ve selected a relevant list, you can go back to GKP and verify search volume and competition. 114. Keywordtool.io – In many ways similar to Ubersuggest, this keyword tool has the extra value of adding alphabet letters at the front of your selected keyword as well, so it searches for a + coffee, b + coffee, etc. More than that, it combines your keyword with 0-10 numbers as well, so your list is nicely completed. It is ideal for getting into long tail keywords and expanding your keyword groups. 115. Soovle – This nifty tool is also quite smart when it comes to expanding a list of keyword seeds or coming up with unusual suggestions you may not have found otherwise. It gathers keywords from sources like Google search, Bing, Yahoo!, Amazon, YouTube, Wikipedia and so on. 116. SEOBook Keyword Tool – Register with an account, and you’ll gain access to the free version of SEOBook’s keyword tool. On the same page, below the tool, you find a helpful article on how to make the most of it. 117. PageSpeed Insights – Another one of the many free tools from Google, this one helps webmasters check how fast their pages load. This is important because anything over a second usually leads to a high bounce rate and decreases quality of UX. 118. Screaming Frog – From time to time, it’s a good idea to perform a crawl test of your website and check whether search engines have properly indexed your website. Perhaps you would like certain parts of your website to remain non-indexed (see uses for robots.txt and how to use a robots.txt file), in which case you have to get technical. 119. Open Site Explorer – This is a powerful, versatile tool from Moz that can be used in a limited, free version as well. It allows you to analyze the authority of a page, page link and social metrics, the number of inbound links, linking domains, anchor text, and more. With a paid account, you get access to even more tools, like the On-Page Grader, which points out exactly the good and the bad of your on-page factors. 120. SEORCH – Similar to Moz’s on page grader, this free tool shows you what’s good about your on-page optimization, what’s bad, and what’s missing. 121. Portent’s Content Idea Generator – It would be unfair to say that this tool is useful to beginners only. Sure, as a rookie you may rely on it more often, but even the most experienced authors run out of ideas from time to time. This clever tool from Portent is not just an idea generator, but great at suggesting catchy, clickable titles as well. Each part of the title is explained, so you learn various tactics of creating attractive headlines. Try it now, just for fun! 122. Headline Analyzer – Writing good, luring titles is a key element to getting people to read your content. This tool from Coschedule analyzes your title in terms of word balance and grammar, gives you character and word count, shows you how the title will appear in SERPs or e-mail newsletters, and provides insightful pointers on how to improve. 123. SEO Review Tools – Another group of useful tools that aid your SEO efforts. You can check the authority of your or your competitor’s domains, check for page authority, backlinks, internal links, search for keywords, verify redirects, and check social metrics for platforms like Facebook, Twitter, Google+, LinkedIn, and many, many more. 124. GoogleGuide – This is not actually a tool, nor is it an official Google product. However, it is an extremely resourceful website teaching search nerds how to get the most out of search, how to refine and filter searches, how to perform advanced searches, instructing you on everything you need to know about Google search operators and in which situations they are useful. 125. Insanely Large List of SEO Tools – It takes real experience and work to actually gather such a comprehensive list of SEO gizmos. David Portney’s list includes tools for every step of SEO you could think of, and then some. Keep this in your toolbar as a permanent go-to in your learning process, but for your consequent hire jobs as well! I also need to mention Portent’s interesting SERP Preview Tool which helps you optimize for increased click through rate chances. 126. Microsoft SEO Toolkit – This SEO toolkit from Microsoft enables you to manage various aspects of your site and make sure it’s well optimized for the search engines. All you have to do is download and install it, then take advantage of its capabilities for pointing out search engine and UX optimization opportunities, detailed reporting of page load time and resource usage, and the very useful error identification of broken or invalid links, duplicate content, and more. 127. AWR Studyr – Shamelessly self-promotional, but objectively worthy of being on this list, the AWRStudyr plugin for Chrome created by our devs at Advanced Web Ranking, should be part of your free toolkit whether you’re an SEO, or a web developer. The plugin allows you to verify web pages for keywords, see if it’s mobile-friendly, check the meta description, and get a bit techier with pagespeed insights, HTML5 errors, social shares, mixed content, and more. It’s definitely useful if you want a quick glance over your website or your competitors. 128. Mobile Friendly Test – Since I first put together this SEO resources list almost two years ago, the digital world has turned severely mobile. Nowadays it’s almost essential for a large majority of online businesses, or businesses that rely on the online as well, to have a mobile-friendly site, or even a special mobile dedicated site. As usual, Google’s test tools are very useful. When it comes to mobile, you either are, or you aren’t. And this tool shows you what needs to change in case you’re not. 129. Free Keyword Tool from Wordtracker – As you may already know, Wordtracker specialize in creating highly performing keyword research tools. But they also offer a free version of their keyword tools. Albeit limited, if you’re a beginner and only starting to make keyword lists for your site to create content and pages, you may find this tool very useful. It gives you nicely related terms with their respective volumes, assigns a value to the level of competition for each term, and adds a very nice and useful KEI metric – the highest potential keywords in your market. You only get 10 related search terms at a time, but for some of you, it might be just perfect in the beginning, especially if you combine it with other free tools. 130. Keyword Discovery – This is another nifty little tool that allows you to find search terms for your site. What I find nice about it is that it somehow manages to give you, as you’ll find described on the site, both generic and long-tail keyword, that are somehow gathered from some 200 search engines from all over the world. In its free version, the Keyword Discovery tools offers hundreds of search terms, and search trends for the last 12 months. If you get the paid version, you’ll get up to 10,000 search terms per query, and a complete 12-month trend history. 131. Wordstream Free Keyword Tools – For beginner purposes, or for someone who’s managing a single site, free keyword tools can still make a difference. That’s why I definitely wanted to add Wordstream’s list of free keyword tools, starting with the generic tool that relies on a constantly updated database of over a trillion unique search queries. Then, you can keep refining your lists by taking your terms through the keyword niche finder, the keyword grouping tool, or the negative keyword tool. While this might mean a little bit more work from you than would be required with a paid tool, in the end, you’re left with a highly valuable keyword list. I also like the adult filter, and the “nichefy keyword results” filter. Pretty nifty, but make no mistake – you’ve got a limited number of uses per day, so use them wisely! You get 10 tries on your first day, and just one per day from then on. One of the best ways to learn SEO is by talking with others in the industry. This is easily accomplished by becoming an active member in forums, but you can also be a simple observer and check to see what others are discussing. If you have questions the Internet doesn’t provide answers for, logging into niche-specific forums can be a great idea and source of information. As you become more knowledgeable in SEO, you might also like to check forums to get ideas for posts, keep in touch with important bloggers and content writers, and even use these platforms to promote your own work (especially when it solves others’ problems). Here are a few essential forums and communities you should check out. For more resources, type in “SEO + forums” in your favorite search engine and start sifting! 132. Moz Q&A Forum – The Moz Community is very active, and here you might get the chance to interact with big names from the SEO industry. For starters, you can enjoy the free access to reading discussions and finding out what SEOs talk about, what preoccupies them, and what new trends shift around. If you want to participate in the conversation and leave a comment, you need to register with a paid Pro account, something perhaps best suited later on. 133. WebmasterWorld – It may be difficult to make sense of this complex forum at first, but it doesn’t get any better than this. Everything “webmaster” is discussed in here, and you’ll also stay on top of news concerning Google, social media platforms, and more. At the bottom of the page, there is a forum index, so you can select the subjects you’re interested in. I suggest starting with Google SEO and checking out some of the discussions there. You must register before having access to forums and threads. 134. SEO Reddit – As you read more about search engine optimization, you will see that lots of optimizers, content writers and online marketers often bring up Reddit as a good source of information. Reddit is also based on a nice ranking system, where people get to upvote threads that are useful or interesting, so the subjects sort themselves out. Being active in this community is also helpful and will be a good root for content ideas. 135. WarriorForum SEO – This forum has subsections and threads on everything related to marketing, webmastering, copywriting, web design, link building, social media, and more. Here, I’ve linked to their SEO category, which I recommend starting with. 136. SEO Chat – A forum entirely dedicated to all things SEO, including search engine marketing, PPC and other internet marketing related subjects. The threads are well divided and split into categories, so it should be easy to browse, even for those with little experience. 137. SEOmastering Forum – Another resource that might steer you towards useful information and discussions. However, I wouldn’t recommend the Marketplace category, since gray and black hat tactics are often discussed and contracted there – practices Google badly frowns upon, and which you want nothing to do with. 138. Google+ Link Builders – This is a nice Google+ community that’s passionate about link building. They discuss new ideas, test link building techniques and share their results, or ask for advice from other link builders. Participate in the discussions, or simply check out their posts; browse the categories for link building tips, best practices, news and more. 139. Digital Point Forum – This is another forum that’s got a very active SEO community, with threads going as far back as 2006 that are still active. Threads with hundreds of thousands of views and even hundreds of replies, which are both good indicators on the value of the topics and the community itself and how involved the members are. Here I’ve linked directly to the SEO category, but if you go back to Business & Marketing, you can find topics like Google, Yahoo, Bing, other search engines, General Marketing, Social Networks, eCommerce, PPC, and more. 141. Quora – Everyone loves Quora. And I mean everyone, not just SEOs and marketers. Everyone who ever wanted a question answered, on all topics imaginable, can set up an account, and just ask away. Hundreds or thousands, perhaps even millions of users are waiting to give you their two cents. Just like with Reddit, you don’t get just anonymous replies, but full answers from community leaders, personalities, specialists and experts in their respective fields. In time, you can position yourself as a thought leader too, by answering as many questions as possible in the niche you activate in. And as you’ve probably figured out by this point, Quora is also an excellent source for content marketing topics – here is where you see what people are actually interested in. One of the ongoing tasks of an SEO is to be constantly aware of the changes, updates and events that occur in our field. In order to do that, you need to know what the most authoritative websites and blogs are. There are a lot of books on search engine optimization and marketing that can help you on your quest to becoming a SEO Jedi. Luckily, some of them are free, so you have access to a vast deposit of knowledge that can complete your training. Not all of them target SEO for beginners, which is why I’ve listed them at the end; they will be part of your continuous learning process and help you expand your knowledge. 156. Search Engine Optimization Bible (second edition) – In this book by Jerry L. Ledford, you will learn about search engine basics, SEO strategies and optimizing search strategies, maintaining SEO at a successful level, and much more. It doesn’t get any more in depth than this. While the book was written in 2009, most of the information found here is still relevant, since it focuses on introducing you into the world of search engine optimization and offers a stable structure to evolve off of. 157. Teach Yourself Visually Search Engine Optimization – If you’re a visual learner, but not particularly keen on videos, you might like to try this book by Rafiq Elmansy. It lists and explains the fundamentals of SEO in a visually structured setup; in that regard, it can be really useful for beginners, allowing you to compare stuffy, text-heavy courses and articles with a simpler format. 158. The Art of SEO, 2nd Edition – Eric Enge, Rand Fishkin, Stephan Spencer and Jessie Stricchiola have collaborated to write this book on “Mastering Search Engine Optimization”. Each of them has provided their own techniques and strategies, and this second edition is an updated version . 159. SEO Warrior – Getting the hang of SEO theory can be exhausting at first, which is why you’ll find it very useful to use books and guides that put you to work. This book by John I. Jerkovich introduces you to tactics, strategies and practices that you can actually use to test your knowledge and, further on, to progress with your optimization work for best results. 160. SEO Secrets – You have to pay for this book on SEO by Danny Dover, but for good reason. In it, you’ll find most everything you need to know about search engine optimization, and more. It can be your learning manual, your go-to guide when you’re having problems with no apparent or easy solution. It’s the type of book to own in your SEO library, especially if you’re the type of learner who needs courses in paperback versions. But if you’re just looking for information to be at your disposal in various circumstances, you can buy the Kindle version. P.S. : I’ve linked to Amazon here, but you may be able to find a better deal on the book on other resources – I just wanted to show you which is the book, along with some poignant reviews on its contents. 161. The Truth about SEO – This is another excellent book on SEO for beginners. It introduces you to the topic, and goes in-depth on what every aspect of SEO is and how you apply it to get your site found in search, outrank your competitors, drive traffic and more. It may not be action-packed with step-by-step techniques, but if you’re a novice, this might be just what you need. 162. BIGcommerce SEO Bible – Written by the Spring Merchant team, this bible was published in 2012; it focuses on paid search SEO and how to run a good campaign ad that attracts conversions and increases sales. Thus, if you’re interested in optimizing an online store, or online marketing strategies that get people to buy products or services online, this is a great resource introducing you to the fundamentals of such practices. 163. The Advanced Guide to Content Marketing – By now, you will have probably gathered that the basis of any successful SEO campaign is very good, informative content. Even an ad-based campaign is founded on excellent ad copy and precise keyword selection. In this advanced guide by Neil Patel and Kathryn Aragon, you will learn the step-by-step process of creating a content marketing campaign, starting with creating target personas, goals, branding, keyword research, setting up a schedule for writing and publishing content, promoting that content, measuring your results, and even tips on never running out of ideas. 164. Search Engine Optimisation – This eBook by Jacqui Carrell is ideal for SEO debutantes; it features a thorough introduction to SEO ropes, and touches on the essential points of keyword research (for organic and paid search), on-page and off-page optimization, link building, SEO for mobile, or how to track and measure the success of your endeavors. You can also find more related eBooks on Bookboon SEO, which is a very good ongoing resource. 165. SEO – From Beginner to Boffin – Brian Bentley has a very direct, pragmatic and technical approach to SEO, perhaps thanks to his scientific education background. His eBook approaches SEO as a science, looks down on Google, and practically convinces you that you can be successful. It provides you with theory and pragmatic approaches, gives you cues on technical aspects of SEO, and even gets into detail about the more popular social media platforms. 166. SEO Training eBook – Another search engine optimization book for beginners, written by Shaun Anderson, for which you will need to subscribe to get access. The Hobo Guide to SEO for Beginners is exactly what most of you need to get started in this field, providing you with theory, tips and tactics on how to practice and master search engine optimization. 167. The Basics of Search Engine Optimization – This book by David Burdon is a free PDF you get instant access to. Although published in 2005, it covers just the basics, so there’s little worrying about relevancy. The booklet is to the point, and includes a short glossary at the end. 168. Investing in SEO – Although this article is not related to taking your first steps in search engine optimization, I wanted to introduce it anyway because it throws light on the practical aspects of working in, and with SEO. In it, Jeff Sauer discusses how PPC is commonly favored in detriment to SEO simply because it delivers immediate results, and success (or lack thereof) can be easily measured. As a future optimizer, you may have to deal with customers and educate them on how your work brings improvements. Sauer’s article on Proving SEO Value is somewhat related, and worth a read. 169. 50 Shades of Digital Marketing – Although this might only interest some of you – and later on in your education -, it’s nice to know the resource is there. Francesca James and Hannah Durham tackle the topic in depth, and provide readers with theory and actionable steps that would assist any digital marketer. 170. Conversation Marketing eBook – When you start feeling like optimization, keyword research and link building just aren’t doing enough for you anymore, you might like to delve into this free eBook and learn more about how to get the most out of Analytics, social media, and internet marketing in general. Here is another Fat Free Guide to Google Analytics, written by Ian Lurie, which adds to the conversation, so to speak. It is a useful guide for beginners and advanced SEOs alike, since it takes you from setting up Analytics, to tracking your goals and working for actual results. 171. Beginner’s Guide to Inbound Marketing – Inbound marketing is the new way to do it. If you want the right kind of attention for your blog, website, product, service or what-have-you, then you need to attract them with the right kind of offer. You need to add value to their online experience, and this book tells you how to do it. SEO is a fragment of inbound marketing, so make sure you understand the whole picture of what you’re dealing with. 172. Marketing Guides – When you’re ready to learn more about marketing, check out these three guides written by Jayson DeMers: The Definitive Guide to Marketing Your Business Online, The Definitive Guide to Social Media Marketing, and The Definitive Guide to Google’s Hummingbird Algorithm. Lower on the page, you fill find more chapters on a variety of marketing-related topics, which you can download individually as per your particular interest or need. 173. How to Convince Your Boss to do SEO – One of the more practical aspects of doing SEO implies convincing bosses or clients that they need SEO. That’s not saying you need to become a salesperson, but that you have to know how to educate others on the importance of online marketing and all that it entails. This guide by Nicole Kohler explains how. 174. The Link Building Book – Paddy Moogan wrote one of the best guides to link building, but in this new book, he takes it to a whole new level. When you’re done reading hundreds of articles with short lists of link building techniques, you’ll probably want to turn to something more serious, and this book is it. You get all the resources you need in one place, and learn tactics that are proven and most likely successful for anyone who tries them. Since I first wrote this SEO resources list, the world has gone mobile – very, very mobile. In order to survive the new digital landscape, stay ahead of competitors, and be where your audience is, you need to have a mobile-friendly, or mobile-dedicated website. So I’ve added a few resources that will introduce you to the topic. If you’re a beginner reaching this list, you may get the advantage of starting a website with mobile in mind, which will save you a lot of trouble, time, and money down the road. 175. Mobile SEO Guide – We wrote this mobile SEO guide right around the time of Google’s announced mobile algo update. It’s meant to take you through all the steps involving search engine optimization for mobile, from making your site mobile-friendly, to helping you decide whether you need a dedicated mobile site, or a related app. From choosing a mobile configuration, to mobile SEO tips and how to get the mobile-friendly label, this guide covers the fundamental aspects of going mobile. 176. UX Design for Mobile Developers – Going mobile is not just about adapting your SEO tactics (such as keyword research), but about adapting your site to offer your users an excellent experience. This in-depth course on mobile UX is aimed at web developers, but since it’s free, you may want to go over it just to know what’s expected, and to know what to demand of the mobile devs you’ll be working with. It’s 6-weeks of neatly packed information for beginners in video format, plus exercises to help settle everything you learn. You can’t be an SEO and not care about website performance. While this aspect may not fall under your direct responsibilities, it is your duty to know at least the fundamentals of website performance, so you know what to demand of your webmaster or your web developer. 177. A Beginner’s Guide to Website Speed Optimization – Although only loosely related to SEO, you should still be interested in website speed, since it indirectly affects your SEO – rankings, traffic, CTR, conversions, and more. In that sense, this free guide from Kinsta is an awesome resource for beginners. It explains what page speed is, how it influences your site’s performance and user experience, and concludes by teaching you the fundamental of how to improve your site for speed to get maximum results and benefits. SEO and digital conferences may not fall under the area of interest for beginners, but if you’re looking to advance and truly make a career out of it, it should help knowing which the best events are. From an attendee point of view, SEO conferences are a great place to take the pulse of the industry, find out the latest, most useful bits of information, and networking. As a speaker, you build your brand, position yourself as an authority in the industry, and promote your services. 178. SMX – Organized by Marketing Land, one of the best publications in the digital sphere, the SMX conference is an annual event that started back in 2007 and now takes place several times a year, in different locations like Seattle, New York City, Paris (France), Munich (Germany), and London. It always features the best thought leaders in the market. 179. MozCon – The MozCon, created by Moz, takes place in Seattle once a year. For three days, you get to hear the best speakers in the world, share the latest ideas in the industry, and network with like-minded folks. Also, you may get to take photos with Roger, Moz’s cutesy robot mascot. 180. PubCon – This is one of the longest-standing digital conferences in the world, with a tradition going all the way back to 2000. It takes place in infamous Las Vegas every year, but don’t let the location fool you – this is as serious as it gets, as high-quality as it gets. With over 130 participating countries, one can be sure to learn the latest from the best, on topics like social media, SEO, digital advertising, and more. 181. The Inbounder – A young, but very promising new digital conference is The Inbounder, a great opportunity for you European SEOs. We attended its first open-to-the-public edition took place in 2016, and it was already a world-class event, with top-notch speakers and high quality information. It was created by SEO specialist Gianluca Fiorelli, and takes place in Valencia, Spain. 182. SEJ Summit – Another excellent digital conference set up by the Search Engine Journal publication, this yearly event takes place in Chicago. Just like the other conferences in this list, it gathers the best of the best thought leaders in the industry, who come to share and discuss the latest in SEO, social media, content marketing, paid search, UX, link building, and more. It usually manages to invite Google representatives as well, and maintains a high quality of information while prohibiting sales pitches and self-promotion. 183. SXSW Interactive – Part of the much wider event taking place in Austin, Texas each year, which features original music, independent film, and emerging technologies, the SXSW (South by Southwest) Interactive focuses on trending technologies and everything digital. Oh, did I mention the event has a history of over 30 years? This is truly a mega-event that gathers some of the best professionals in a wide variety of industries, including SEO. 184. SearchLove – This is an annual two-day conference created by Distilled. It takes place in both Europe and the US, with locations like London, San Diego, and Boston. Its main focus is on SEO, analytics, content creation, paid promotions, and the latest trends and information in search. SearchLove is another high-quality digital event that you may like to attend in order to dive deep into the digital industry, learn more, and create valuable connections. Well actually, that’s not it at all. As you become more informed and experienced, and begin to trust your own judgement, you will be able to find more and more suitable learning resources. However, by the time you’re finished reading what I’ve provided in this list, you should be capable of putting to practice a lot of things, and thus call yourself a true SEO. Did you find these resources useful? Is there anything else you would like to have seen added, or is there any other good resource I missed? Please let me know in the comment section below. Editor's Note: This post has been updated for 2017. New resources and chapters have been added to keep the post relevant for the present and future. Thank you, Dan! Looking forward to more of your helpful videos! Thanks, so happy you like it! Fantastic list of SEO tools and articles, thank you very much! This will be a focal point of our next team meeting. I’ll be sure to share anything we think will be of value to this post. Thank you, Aimee! I’m glad to hear the list is already becoming useful! Indeed, Oliver, some of the resources here are always helpful. Happy you found it handy! Thanks for your suggestions, Aaron. I didn’t include this type of resources in my list as I consider them to be aimed at more advanced learners, whereas my article tries to make sense of the basics of SEO. What you mention, however, are great resources and should come in handy at a later stage of SEO training! I like Distilled U training program. Also, you added a couple of link building resources that I have not checked out yet. This is really super awesome. Thank you for doing this! Indeed Ricky, some of the resources here are incredibly helpful, especially if you use them together. I’m really glad you found some new stuff to read! A thorough and biiiiig list, good work. 🙂 One subject you didn’t mention is the darker side of SEO – Google penalties! True enough, Google penalties are another aspect SEOs need to look out for. Thanks for mentioning them Ed, trainee optimizers should do well and check out your guide once they learn the basics! Thank you, Sean! Your guide is very helpful and well structured, so I just had to recommend it to junior SEOs. You make some very fine points in there, keep up the good work! Wow, that’s a thorough resource! Thanks, I really wanted beginner SEOs to find it easier to accumulate all the information they need. What about Market Motive, they have Todd Malicoat and rand fishkin from Moz running the seo course. That’s a great suggestion, Peter. You are right, the classes offered by Market Motive are extremely comprehensive and represent one of the best SEO study offers there are. Will include them in the list! Wow thanks for the list. I’m trying to start out and break out of my 60 hour weeks…..I run 3 businesses and although I love what I’ve built I just turned 30 and want to live a little now. Hopefully learning seo will allow me to generate leads which I can monetize as well as drive more bookings into my own businesse. As soon as I get the money in its employing the right people to take over my businesses and I’ll be spending some much needed me time on a beach somewhere! Great post, really enjoyed this excellent resource. Thanks Anojan, glad you found them useful! This article is very helpful, thank you for sharing. I’m new about blogging and still learn more about SEO. Excellent post Lia, rich with useful content. Allow me to add that S.E.O can be addictive, once you start getting results so I would advise on wearing gloves…so to speak. Or perhaps I have an addictive personality, because I fell into it boots and all and loving every moment! Learned quite a few new tricks from your post, and I’m off to my own Blog. Again, thanks for sharing great content. Perhaps I can invite you to also comment on one of my blogs as I’m currently working on boosting Domain Authority? This article covers everything about SEO! Very useful from beginners to expert. Good morning. This article is very helpful. Full of insights. Thanks for this. Good job. Good luck. Being a small business I try and keep my SEO activities to those which work well.. Starting with key phrase research, I code a landing page and then run it though something like IBP’s top 10 report so I know that my page is roughly right. Its then a simply task of building inbound through direct link and tier n sites.. This article is great! Thank you for providing this information in a so well structured manner. Wow, it’s going to take me a while to go through all of this and learn this amount of SEO information. I booked marked this page and will use it as a valuable recourse. I love how you have outlined the Topics and the general layout makes it much easier. Thanks and I’ll have to look at all your other stuff. Keep up the good work! Wow, the way you explain this topic is amazing! First you explain how search engines work, then what is SEO then keywords researching and so on. Its a perfect place to learn SEO from tip-to-toe. Thanks for the SEO cluster on a single page. It was awesome to see all the tools to gain as SEO master. thanks a lot for all the info! It is very well structured! Good instructions and guide to learning new techniques. It’s a wonderful and comprehensive article on SEO. The various clusters of SEO are well written in easy-to-follow language. There is better way to begin your SEO education in this articles. Thank you for such knowledgeable post. I am new in SEO. This post really helped me a lot to gain knowledge about SEO. Keep sharing such good posts. Thanks, lia, you are doing this a really great job to teach how seo works but you for got about PPC detail because many people don know about ppc and its a part of seo marketing.